Bowers & Wilkins partnered with Aurnhammer to develop a mobile experience that would enhance the launch of their new product – the Zeppelin Air. This speaker dock comes wifi enabled with connectivity to Apple’s AirPlay streaming, so that users can play high-quality music wirelessly. 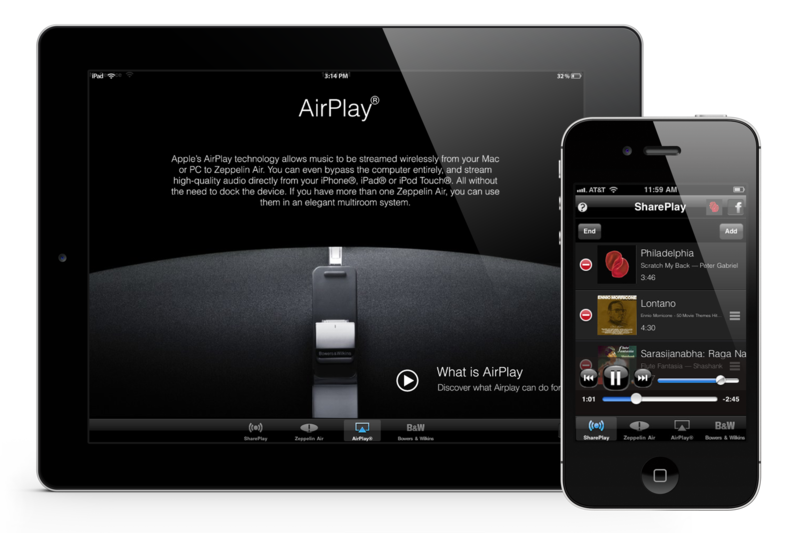 The Zeppelin Air App allows multiple users on the same wifi connection to share their songs and create a joint playlist. These playlists can be edited and streamed live – the perfect way to play a little of something everyone likes, wirelessly.